Many people wonder why they may need to get a crown done when they have oral health difficulties. When not painful, the problems that need crowns can seem minor and crowns may feel like an unnecessary luxury. But crowns are absolutely necessary for many important health reasons. Sure crowns can be used to cover misshapen and sometimes discolored teeth. But that doesn’t mean that the crowns are only cosmetic. When misshapen and discolored teeth are present sometimes they are that way due to an environment that puts them at risk for these things. Crowns can help prevent further discoloration and destruction in teeth that are already at risk. 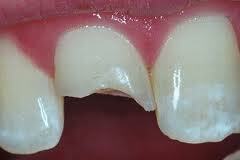 Crowns can also be used to cover weak teeth that have just had cavities or which have been cracked or fractured. It is important to cover up any open fractures or sore on teeth to avoid exposing the inner core of the teeth to further damage and problems. Crowns can even be used to hold a dental bridge in place. A bridge is a device used in place of a partial denture, for when the patient does not need a full or partial denture and only needs to replace a few teeth. For example, when two or three teeth in a row are lost a bridge may be placed instead of a partial denture in order to restore normal teeth functioning without having to place a removable prosthetic in the mouth which requires daily maintenance in addition to normal oral health maintenance, which can be a hassle. The crown is used in this situation to fuse the bride to the remaining adjacent teeth, and can be very important not only to fuse the bridge in place but also to maintain uniformity in the teeth. Here at South Charlotte Dentistry, Dr. James A. Wells offers Cerec crown technology for his patients. This excellent tooth crown technology can help patients achieve the natural look and feel they desire without having to be concerned about the oral health risks of not placing in a crown. If you are interested in the amazing and natural look of Cerec crown technology, or are worried about the dangers of keeping an open cavity or fracture in your teeth, please visit our contact us page or call 704-759-0908 for more information! CEREC Same-Day Crown is Just Like Real Teeth!